This small town sits in the heart of Washington State’s wine country with sixteen wineries and tasting rooms and at least two more tasting rooms in the process of being built. The Yakima Valley is a cornucopia of fruits and vegetables starting with asparagus and cherries in March or April and ending with apples in the fall. There are, also farms specializing in organic produce. The Prosser area is 4.4 miles at an elevation of 665 feet. Of the 4.4 miles 4.3 miles is land and 0.1 is water, comprised of the Yakima River. Temperatures over the winter average lows in the upper 20’s to low 30’s and highs in the mid 40’s. October through January is the wettest months with an average of 4.1 inches of precipitation. The average high temperature in the summer is 87 degrees. As of 2010 Prosser’s population was 5,714 and the make up of that population is 76.1% White, 0.5% African American, 0.5% Native American, 2.0% Asian, 0.1% Pacific Islander, 17.6% from other races, and 3.2% from two or more races. Hispanic or Latino makes up 37.2% of the population. The ancestries are comprised of 17.3% German, 10.8% English, 9.3% Irish, 6.8% United States, 4.3% Norwegian, 4.2% French, and 12.5% Foreign born and of that number 11.1% are from Latin America. The median age is 32.8, the average income for a household is $39,185 and the median income for a family is $45,162. In the year 2000 the average price for a home was $98,500, which is below the state average. 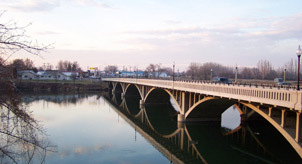 The economy of Prosser is based on the agricultural industry and it’s supporting businesses. There is a growing tourist industry, mostly based on the wine industry of the region. Prosser has two elementary schools (Prosser Heights and Keene-Riverview), one middle school (Housel), and two high schools (Prosser High and Prosser Falls Education Center). The nearby small community of Whitstran has one elementary school (Whitstran Elementary), which is in the Prosser School District. 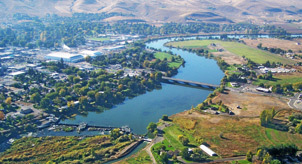 Prosser is a small town with plenty of room to grow, both in the agricultural and tourism industries. Every month throughout the year there is some type of special event happening. In September there is the big hot air balloon rally and harvest festival and the Sunday after Thanksgiving is the Thanksgiving in Wine Country featuring the local wineries newest releases.